Often, people injured in accidents assume that they won’t be able to hold a defendant, whether a large company or a medical provider, accountable for their harm. At Evans & Evans Attorneys at Law, P.C. in Griffin, we know what it takes to challenge tough defendants and win substantial damages in court or through favorable settlements. We’ve obtained many million-dollar verdicts and settlements, including the highest jury verdicts in both the State and Superior Courts in Spalding County and other counties. Our firm treats each personal injury and workers’ compensation case, no matter the size, with the same importance and determination. Whether you’ve been hurt in a vehicle accident, as the result of medical malpractice, due to a defective product or while doing your job, we will give you the effective advocacy and caring advice that you deserve. Recognized — By winning tough cases and offering exceptional service, we have earned the respect of clients and colleagues. 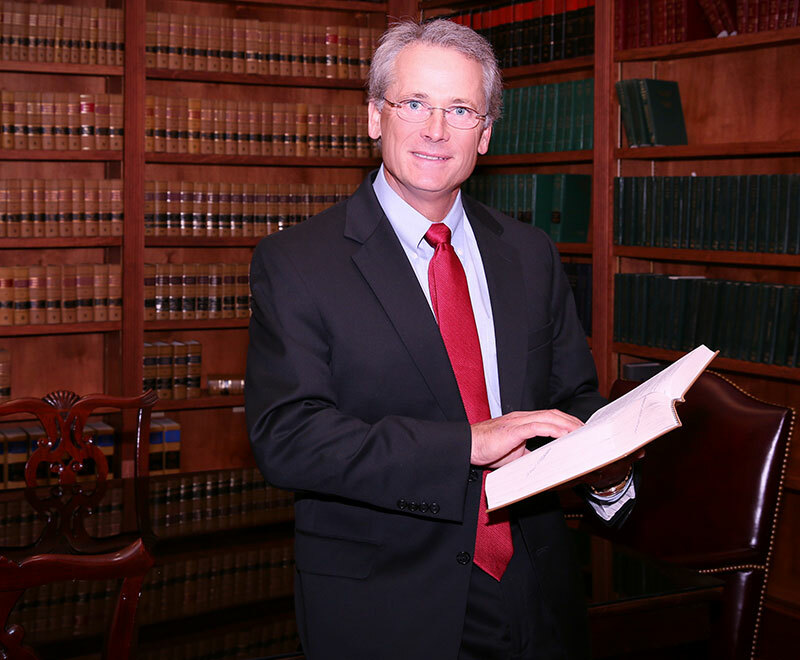 Attorney Larry Keith Evans, with the firm since 1983, has earned an AV® Preeminent™ Peer Review Rating by Martindale-Hubbell®, a recognition of his legal ability and ethics by attorneys familiar with his work. Strategic — Focusing on personal injury and workers’ compensation cases gives us the ability to value a case properly and anticipate the tactics employed by defendants, their insurance companies and their lawyers. Compassionate — Our firm puts client care at the heart of everything we do, ensuring that every case receives full attention from a qualified attorney. You’ll receive personalized counsel from an attorney who’ll make sure that you understand every aspect of your injury case. When you’ve been injured and are wondering where to turn, you can call us for a free initial consultation and learn why our experience matters. We work on contingency, so you don’t have to pay legal fees unless you collect a financial recovery. Personal injury — When you’ve suffered a personal injury due to someone’s negligent or reckless action, we press for fair compensation from the liable parties through settlement negotiations or litigation. Auto accidents — A simple wreck can cause serious complications in your life. We help people hurt in auto accidents obtain the financial relief they deserve. Medical malpractice — Errors and substandard care can happen during any medical procedure. We understand the special rules that apply to medical malpractice claims and can gather the evidence and experts needed to press a case against a negligent doctor, nurse or hospital. Workers’ compensation — Medical expenses and lost wages arising from job-related injuries and illnesses should be reimbursed for most workers, but Georgia’s complicated workers’ compensation rules can make getting benefits difficult. For initial claims and appeals, we offer strong guidance. Products liability — If you’ve been injured by a defective product, our extensive background in products liability litigation will help you understand the legal standards and pursue a favorable outcome. Our record includes a $2 million verdict that was the first such verdict under a new Georgia products liability statute. The sooner you engage our firm for your case, the more quickly we can work to secure the money you’re entitled to under the law. Don’t let negligent businesses or individuals off the hook: we are here to assist you at every stage of your legal matter. 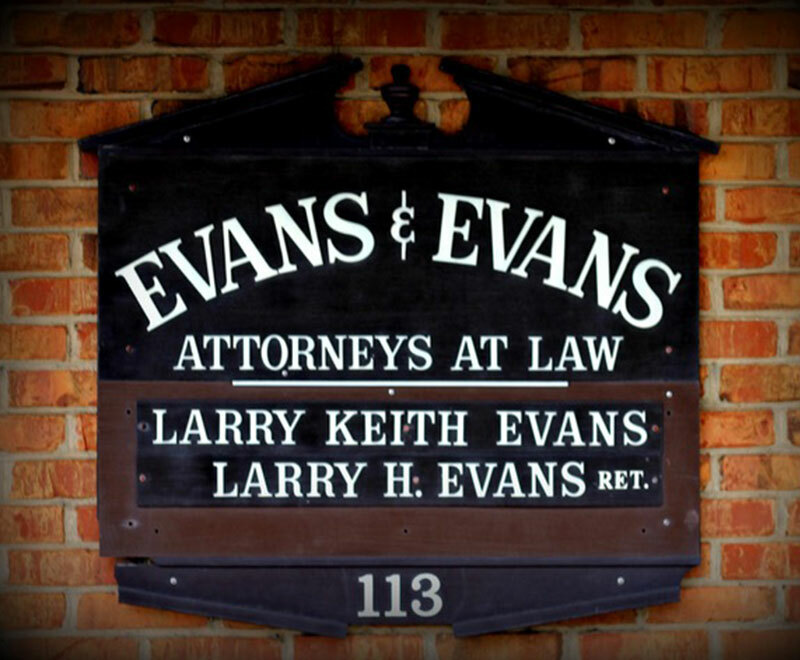 Evans & Evans Attorneys at Law, P.C. represents Georgians who have been injured due to someone else’s negligence or in the workplace. Please call 770-228-5530 or contact us online to schedule a free initial consultation at our office in Griffin.